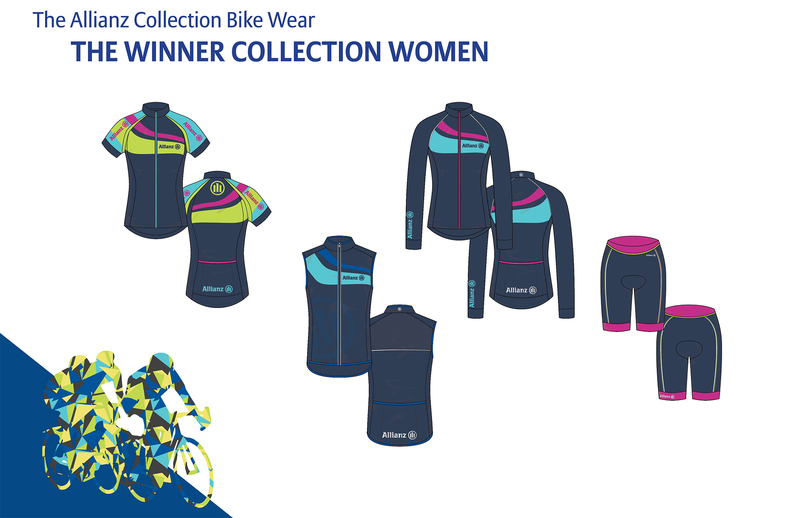 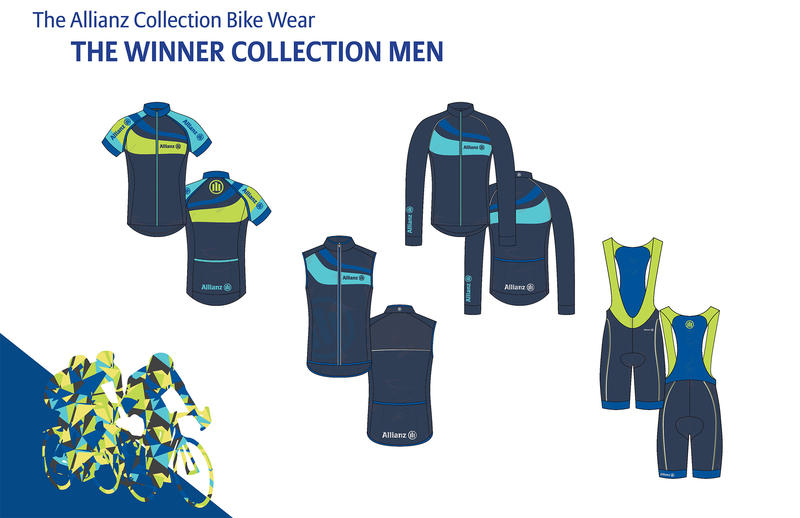 Our sporty, functional, adrenaline-pumping collection for bicycle enthusiasts. 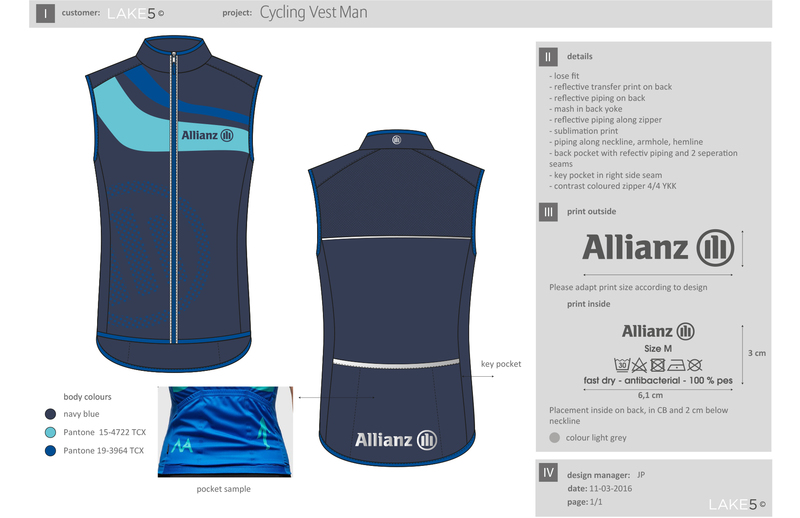 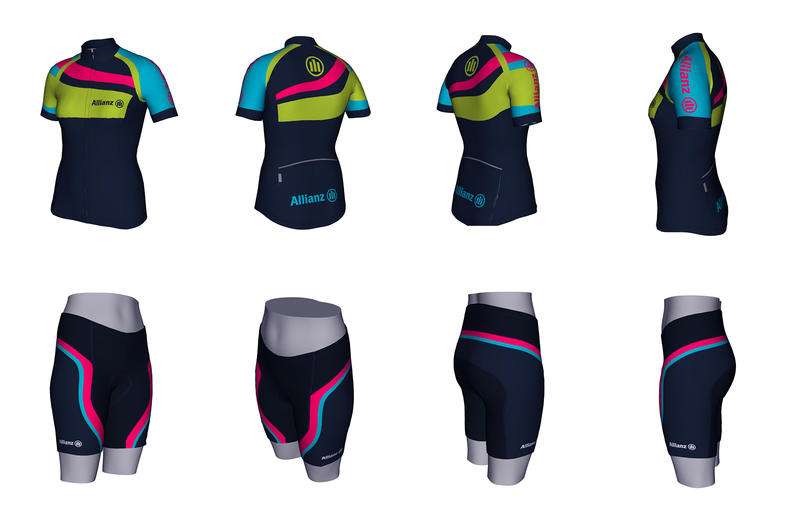 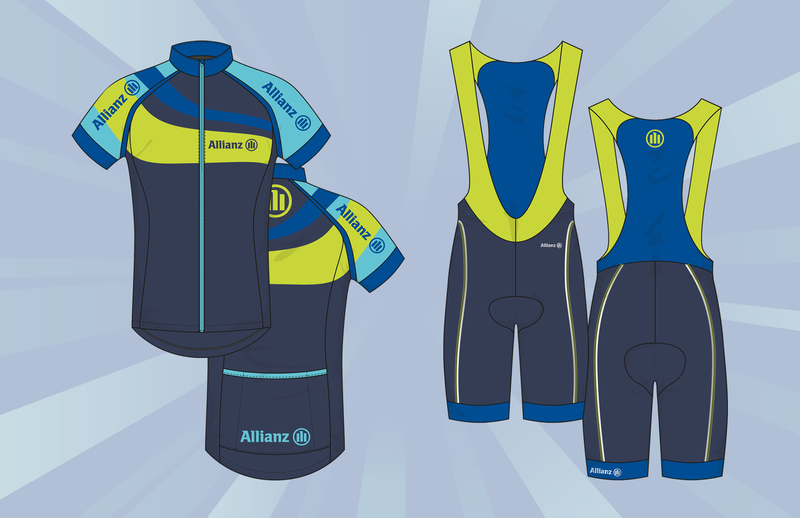 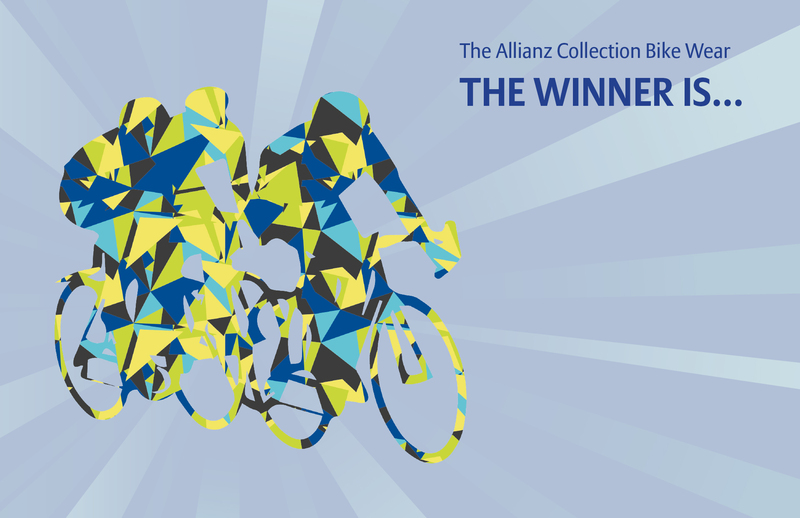 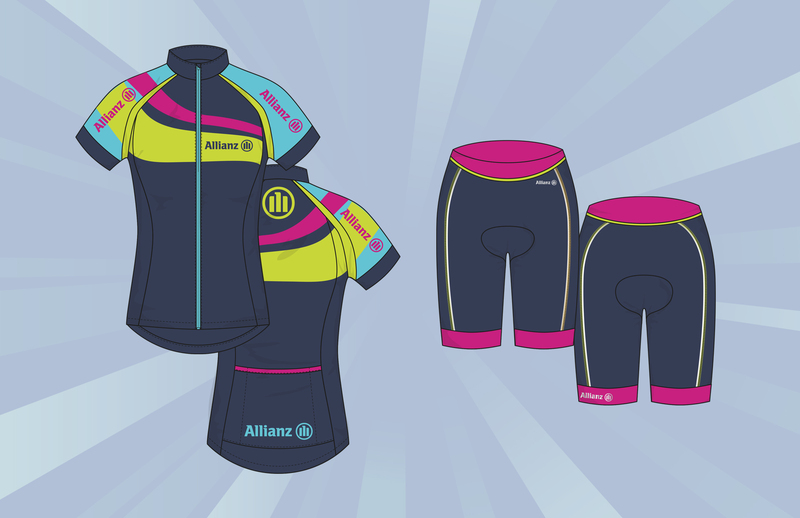 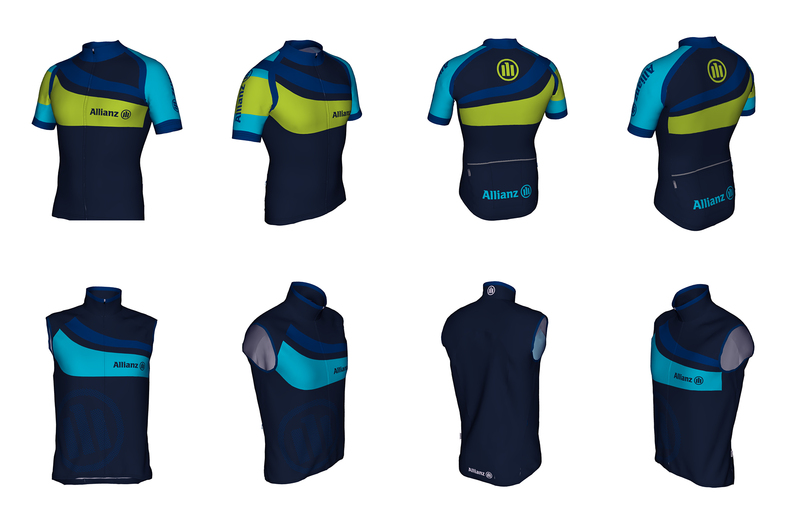 LAKE5 developed the idea and the design and now supports Allianz cyclers around the world by providing them with their gear. 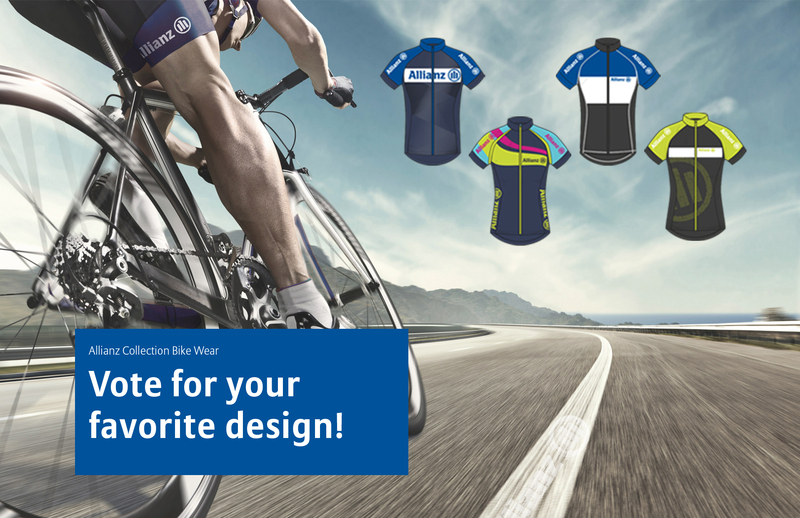 Employees were asked to vote for their favorite design, and now staff from around the world can show their company pride by wearing the same pieces when going for a bike ride.